To alleviate the tedium of long haul flights, purchasing discounted business class tickets offer excellent options for any traveler. 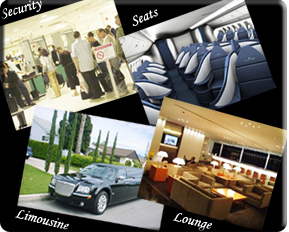 Enjoy perks like, priority security and deplaning, increased seat reclining and greater legroom, all at a discounted rate. Long-haul business class tickets means that business class passengers can relax in recliner, lie flat or flat-bed seat options that way you can wake up refreshed and ready for a business meeting or long awaited trip. Not only are drinks, meals and snacks offered throughout the flight, but on-demand entertainment with current shows, movies and music in multiple languages are available to help pass the time. Depending on the airline (and their partners) Business and First class lounges are also available before or after your International journey. Use the lounge as a place for relaxation as you sit on one of their plush leather seats or sofas, freshen up with a hot shower or recharge with a drink or snack before continuing onwards. Lounges are also useful for additional work and resting areas. For ticketing information, an agent is also available to answer any flight or travel questions. To book your travel today, call 1-800-807-9834 to speak to an agent. If you are traveling a long distance, experience why discounted business class flights are the most popular and preferred way to travel.